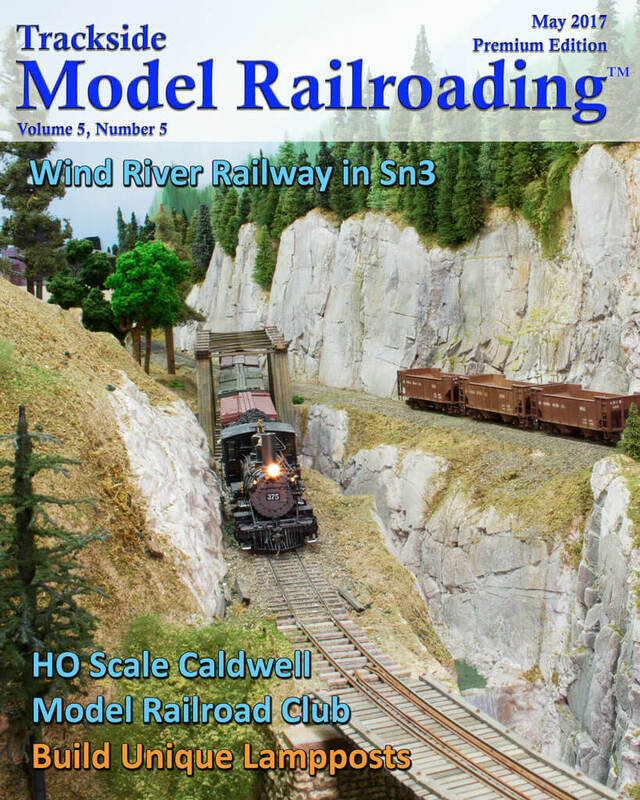 Bill Scheef's freelanced Sn3 layout features the Wind River Railway in 1941. The railroad has just received equipment from the West Side Lumber Company and the Denver & Rio Grande Western so it can help support the war effort. 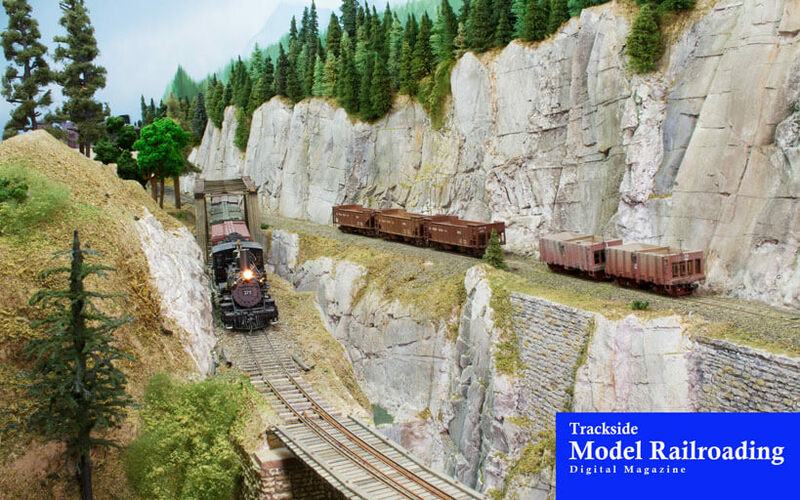 The bi-level layout features mining and logging operations and a port, and the spectacular scenery shows off Bill's creative talents. We include an article, video, and photographs of the WRR in this feature. 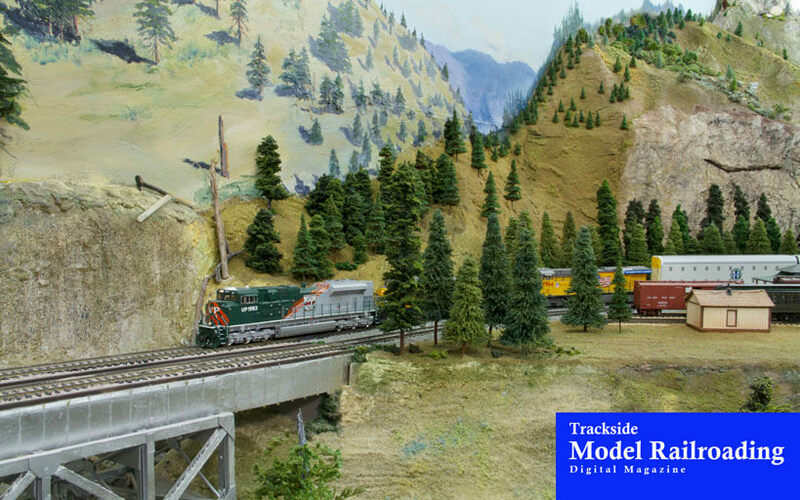 The Caldwell Model Railroad Club models southern Idaho's Treasure Valley along with parts of eastern Oregon and northern Idaho. The large club layout is freelanced and is constantly changing, but each town has some connection to the prototype. Different towns are based in different eras, and club members run both steam and diesel locomotives from many railroads on the layout. 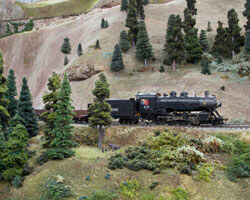 The club also models an N scale layout and both layouts can be visited in person if you wish. 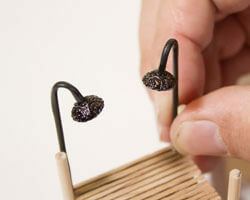 We show you how to build lampposts this month using piano wire, heat shrink tubing, and small incandescent lights. We install our lampposts on the dock we made last month, so our sample lampposts are in HO scale, but you can easily build your lampposts in O or S scale.